As of March 2015, The Campbell Girls Fastpitch Softball website has been changed. "Empowering girls through teamwork, competition, sportsmanship and confidence"
Early bird discount of $25 if signed up by Dec 30, family discount (more than 1 player) of $25. Late fee of $25 applies to all registrations received after January 24. Check back here for field status if it starts raining. 14U Player Evaluations have been cancelled. Please contact Dave King at laserking65@yahoo.com for further details on the team. Looking for the Snack Shack Volunteer Sign-Up List? 2014 Fall Ball starts 9/7/14 - Registration will open soon! Calling all Coaches and Team Parents ! First Bay Area Coaches Roundtable - A Huge Success! 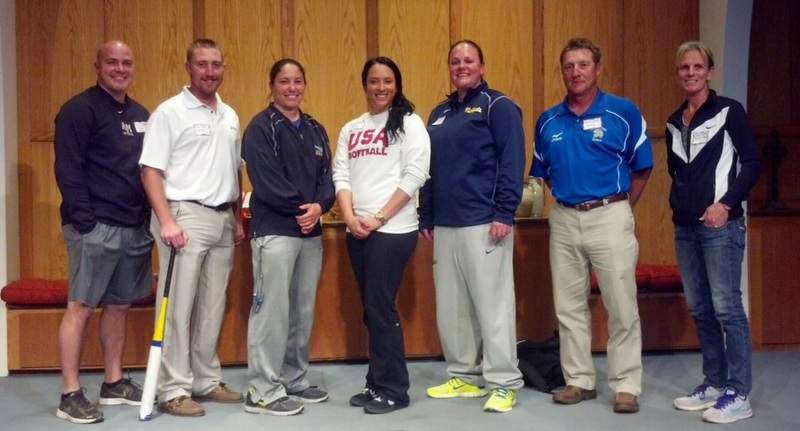 On Wednesday, January 15th, CGFS hosted 7 of the best coaches in the Bay Area. They spoke on topics such as player motivation and practice plans. The local coaches then had an open Q&A with them. If you missed it, stay tuned as we will have the video of it posted soon. We had over 50 attendees from local leagues including West Valley Slammers Softball, Campbell Girls Fastpitch Softball, San Jose Sting, Sunnyvale Girls Softball League, Santa Clara Pal-Gal Softball, Legends, Morgan Hill Spirit, and Nor Cal ASA Area Representative, Gary Catalano. A Special Thank You goes out to Coach Peter Turner and Coach Chase Turner from San Jose State University, Haley Woods and Val Arioto (also Team USA) of the Cal Nuggets, Coach Christina Byrne from San Francisco State University, Coach Debbie Huntze-Rooney from San Jose City College and Coach Brian Yocke from Archbishop Mitty High School. Without your support, we could not have held this event for the coaches and more importantly to benefit the players in each of our leagues. Volunteer driven, community based 501(c)3 non-profit providing Spring (recreational) and Summer (competitve) programs to all girls 5-16 y/o in the Campbell area who are wishing to partcipate in a wholesome softball program while fostering the spirit of true sportsmanship. Our Goals are friendship, fun, and recreation. Girls being girls, new friends, building bonds and the fun of playing an organized sport. Some will kindle old friendships and build new ones with new players. CGFS and the community of Campbell, CA has been part of that experience since 1972. More information of our vision can be found at "our mission. our bylaws. Become A Sponsor CGFS continues to improve the facilities located at Forest Hills Elementary School. Since 2004 two major buildings have been erected along with other improvements to the grounds. Sponsors help. The two parking places for Day Care at Forest Hills Elem. School are clearly marked to keep open Monday thru Friday until 6pm.